Studies have shown people who eat out more number of times are susceptible to developing obesity. Children are exposed to high calorie, high - fat, junk food and readily available foods in the market that make up a significant part of their diets. 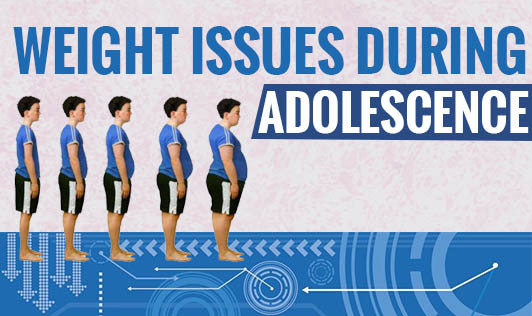 Many adolescents eat out frequently and at some phase of their growth, realize the side effects of being obese. Diet for an adolescent should be guided by a dietitian who would help him lose weight the healthy way. Adolescence being the growing age, places a huge calorie and vital nutrient demand on the individual. And hence, the right kind of dietary advice can go a long way in facilitating healthy growth in the adolescent. • Exercise daily for 30-40 minutes. Though a combination of yoga, gym and meditation would help an adolescent lose weight, being involved in a sport will benefit him socially too. • Include fruits and vegetables in the daily diet. Consume at least two fruits a day and salads frequently. • Drink about 10-12 glasses of water in a day to stay hydrated. • Reduce the frequency of eating out and encourage home food. • Avoid deep fried and shallow fried foods. • Keep away sweets, pastries, and cakes. • Have food on time and do not skip meals. • Stay confident and meditate to stay calm and happy. These are some of the general guidelines. These can help your adolescent start with a weight loss program. Contact your dietitian for some more tips and help your child stay healthy.